Euroridel Industry is a company that works at national and international level in the market for Treated Polyester Film Supports, basing its success on three simple concepts: Experience, Technology and Quality. Experience based on decades of activity matured in the paper industry and in the graphic and reprographic field, combined with a sophisticated knowledge of production processes dedicated to the realization of high quality polyester supports. These are the guarantees for a result suitable to meet the needs of an increasingly sophisticated and technically prepared market. Founded in 1954 for the marketing of products and services related to reproduction, it has been restructured over the years for the production and setting out of alla Polyester Film supports for the Graphic, Technical and Industrial sectors. The devolepment of the Sign-Visual-Advertising Digital Market and the creation of a complete range of articles for this sector, together with the increasingly important line of indutrial products that use adhesion or release promoters or highly resistant cross-linked surface, have allowed to diversify production experience in various fields of application. 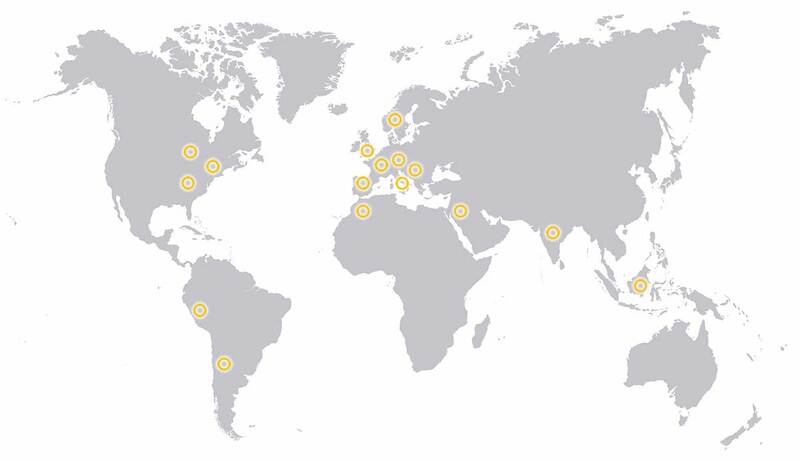 Nowdays, thanks to a continuous and constant growth, Euroridel plays a leading role both nationally and internationally, trading all over Europe, in North and South America and in Asia. Euroridel coats its base polyester films with chemical pre-treatment that improves the wettability and the surface tension, allowing to approach also other industrial reality of the market such as flexography sector, of special release supports, and those with hugh surface resistance anti-scratch and high adhesion. Thank to his high level of technical experience obtained over the time and to the use of technologically advanced and ecologically evolved systems, Euroridel produces different and constantly evolved materials to satisfy an always increasing demand market. The production takes place through two coating plants of different sizes and performances that guarantee a considerable productive and qualitative capacity. The company also has premises, explosion.proof machinery and anti-pollution systems for the treatment of all types of solvent-based products as well ad adequate treatment systems for water-based process. After the coating process the products goes to the converting department where the products are settled. This department is fundamental because, thank to its elasticity, it is able to guarantee punctuality and versatility in the preparation of the different products. The warehouse is organized in order to have always standard material ready or to set it up specifically on the particular customer needs. Another strong point of the production process is the Research and Development laboratory, where qualified personnel take care of the study of new supports and the improvement of existing ones, facing the continuous technological evolutions and increasingly specific requests that occur in the markets in wich Euroridel operates. In the same department the Quality Control takes place where continuous and constant examinations of the raw materials used and of the finisched products are carried out, this allows to guarantee results always of quality, valid and long lasting. The Euroridel production facility is situated in the province of Milan, near the Milano-Linate airport and the motorway junctions, it extends over an area of 14.000 square meters, where there are the productive, commercial and administrative structure of the company.